This was an incredibly quick sketch (less than a minute), but I really like how it turned out. 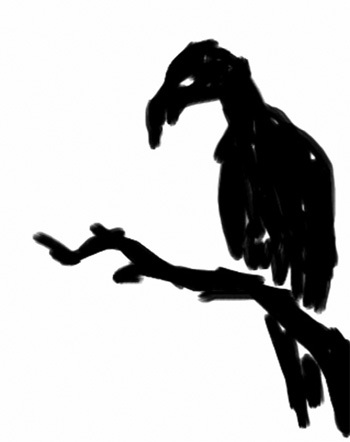 This entry was posted in Digital, iPhone Art and tagged animal, bird, vulture by Nathan. Bookmark the permalink. It reminds me of those things in doldrums in the phantom tollbooth movie. But they were more like blobs of mucus.